Siri is a very interactive and intuitive app that iPhone users use to make their lives much simpler by creating shortcuts. Siri learns from your daily routine which allows it to make suggestions on what you are supposed to do. You can get very frustrated when you give Siri a command and it does not understand what you are saying. This is why Apple has come up with a Workflow app that you can use to create your own customized Siri shortcuts to do things like order your morning coffee, send text messages, make a gym playlist etc. With the use of customized Siri shortcuts, there come problems with Siri shortcuts not working in iOS 12. There are simple and easy ways that you can use to solve these persistent problems that arise when you are using the Siri shortcuts. In this article, we give you more information on how to fix Siri shortcuts not working in iOS 12 so that you can continue to use Siri features without having problems. Step 1: Go to your iPhone and click on Settings. Step 2: Click on the Siri & search button. Step 3: Then tap on the Enable listen for Hey Siri or Press side button for Siri. You can now enable or disable Siri on your device if the button is turned on. 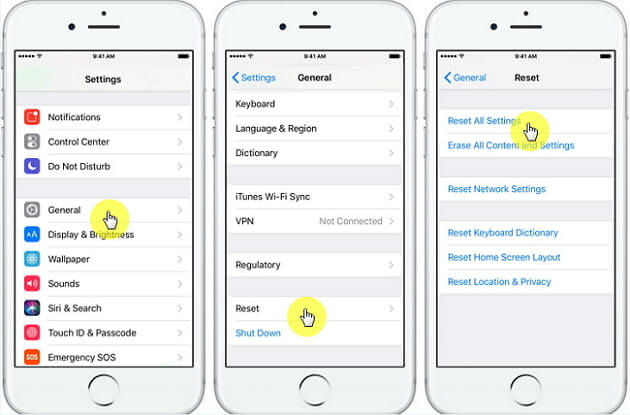 Note that you will have to setup Siri every time you turn it on by following the above steps. Step 1: Go to the Siri Settings app on your phone. Step 2: Select the Siri & search button. Step 3: Then tap on My shortcuts button. You can now make any changes you want on any of the created shortcuts by just clicking on the Edit button or deleting to remove the shortcut from the list. 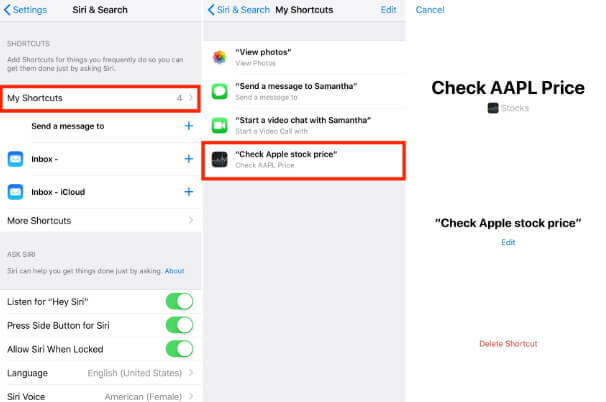 Before you leave get your Siri shortcut verified after re-editing. Apple watch comes with Siri settings but they cannot be auto synched with the Siri shortcuts you created on your iPhone or iPad. This means that you will have Siri Shortcuts not working in iOS 12 if you try to sync your Apple watch with your iPhone Siri shortcuts. Step 1: Go to your iOS device’s Settings. Step 2: You can then select the General tab. Step 3: Next, tap on the Reset button. Step 4: Finally, click on the Reset all setting tab. Step 1: Using a lighting cable, connect your iPhone to iTunes then select your device’s icon on iTunes. Step 2: On your device’s Summary page click on the Restore tab by using the alt/option keys on your Mac’s keyboard and on your Window’s keyboard use the Shift key. Step 3: In your system select the firmware you had downloaded earlier. Step 4: Lastly, open the firmware and wait for the restoration process to be completed. iMyFone iOS System Recovery is professional iOS repair software that is used to fix your iPhone’s iOS issues bringing it back to its original state. You can use it to fix almost all software issues on iPhone, iPad and iPod touch. You can use this app to fix various other not so serious problems at home like if your iPhone will not restore, your iPhone has a black or white screen of death, your iPhone will not turn on or is frozen etc. This program has higher potential to fix iPhone issues with three fix modes available. Siri is a very useful app to Apple users who want to make their lives a little bit easier to manage. 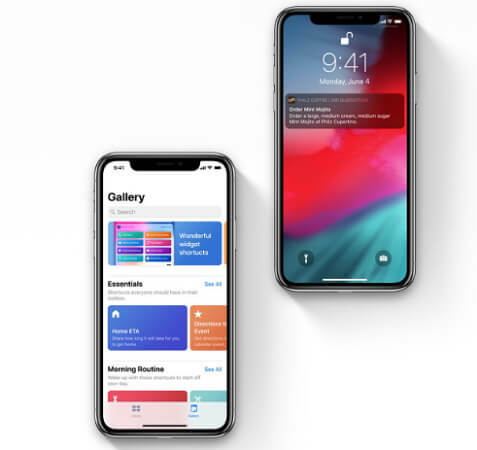 With the help of Siri shortcuts you are in a better position of being more efficient on the things you have set out to do. Just by giving a command Siri can execute or even make suggestions to your daily life. 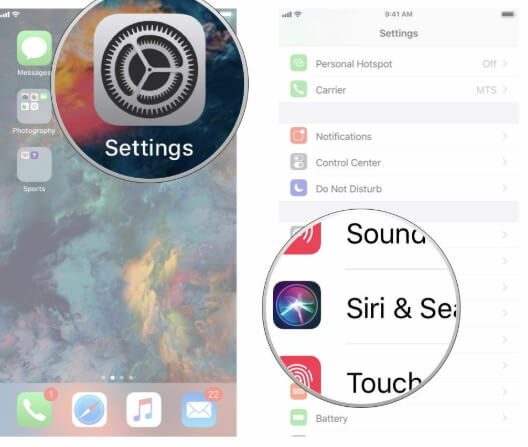 As an iPhone user you will occasionally come across Siri shortcuts not working in iOS 12 issues but with the help of the above information, you can now fix the problems that arise when using Siri shortcuts using the various methods and apps. 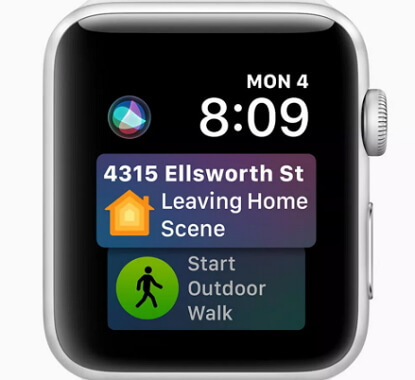 This will allow you to use Siri shortcuts and its many features to make your life manageable and less stressful.